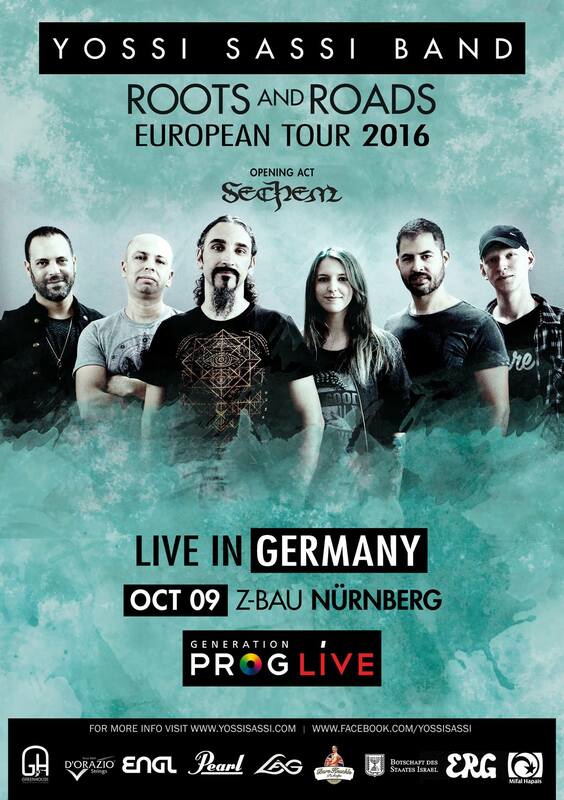 After a lengthy timeout, the Generation Prog concert series finally continues with a high-quality double package from Germany: Blind Ego and Seven Steps to the Green Door, who will perform a full headlining set each. Blind Ego is a project of RPWL guitarist Kalle Waller. After three studio album under that name, in 2017 he finally put together a live band to take his music to the stage. The CD/DVD double package Liquid Live showcases this group’s impressive talents. Compared to Wallner’s main band, the music is more on the rock side and with Scott Balaban (Amon Ra) he has found a fitting voice for the harder, modern sound. 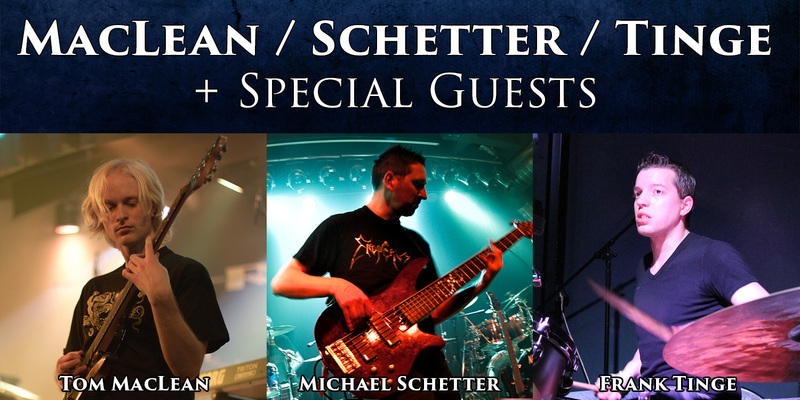 They are supported by guitarist Julian Kellner (Dante), bassist Sebastian Harnack (Sylvan) and drummer Michael Christoph. 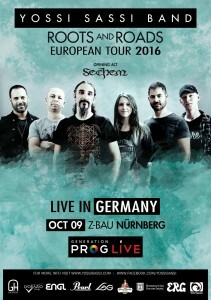 Seven Steps to the Green Door are among Germany’s most established prog rock bands. Since their 2006 debut, which was awarded the Deutscher Pop&Rock Preis in two categories, the 8-piece around keyboardist/saxophonist Marek Arnold (also with Toxic Smile, Damanek, Cyril, ex-Stern Combo Meissen) and drummer Ulf Reinhardt has continually progressed. 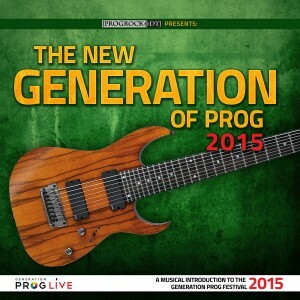 The last two albums in particular, The?Book (2011) and Fetish (2015) turned heads in the prog scene and resulted in performances at big festivals like Night of the Prog at Loreley and Crescendo in France. The music is equally defined by its melodic multi-part vocals and the often polyrhythmically intricate grooves. Something just wasn’t working out this year. And it didn’t begin with the surprising cancellation by Sound Struggle. We had been trying to set up a new Generation Prog Festival since late March, talking to several potential headliner bands. Nothing worked out. 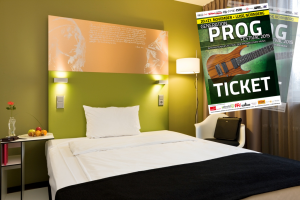 When our original plans for a two-day festival in November fell apart in July, Haken suggested doing something on the weekend of October 21, as they’d be in Europe to prepare for a gig at the ProgStage Fest in Israel the weekend before. With Conner and Diego living in the US and Mexico, that was an important factor for our decision to choose this date. We went ahead with the plan. 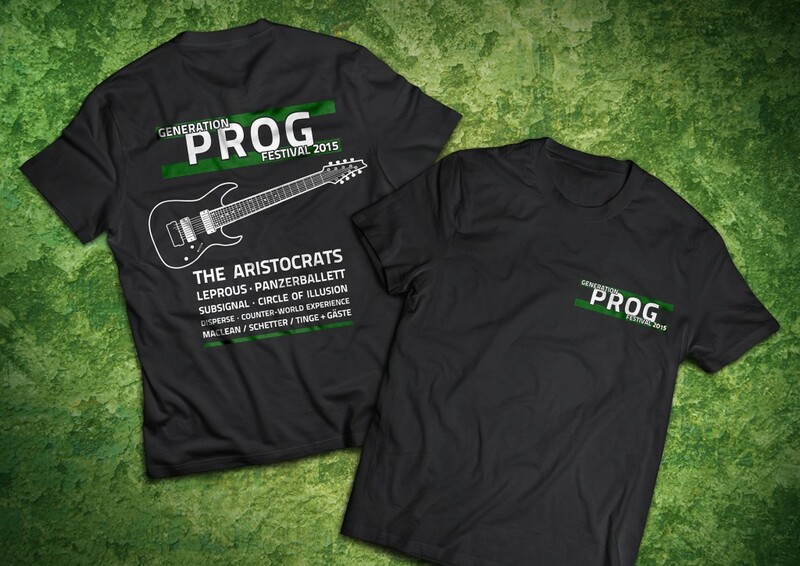 Sadly, as we learned last week, the ProgStage Fest isn’t happening as planned due to low ticket sales, with Haken definitely not going to Israel. This meant that we’d need to fly Conner and Diego in from the US and Mexico just for the one gig. We tried to find some solution for this problem, but in the end it was just too difficult to pull this off financially. We simply weren’t in a position to add more money to our band budget this year – the truth is, our own ticket sales were behind our expectations, too. We would have to bet on door sales to be far higher than they had been in the last two years. Without a significant improvement, we were looking at losses of several thousand Euros. And we felt that was too risky seeing how we’d already misgauged last year’s demand (despite our best lineup yet, the 2015 festival just barely broke even – without our sponsors we would’ve lost a lot of money). There wasn’t enough time left to find and sufficiently promote a new headliner, and without Haken as the main draw, our overall calculation wasn’t working out anymore. Promoting gigs is always a bit of a lottery, but in the end there were just too many obstacles for this to work. That’s why, with a heavy heart, we decided to cancel the festival in the end. unfortunately we are forced to cancel this year’s festival. A longer statement about this will be published on our website soon, but we wanted to let you know about this as soon as possible. We will refund the costs for all tickets ordered directly from us in the coming days. Tickets for our concerts in the fall can now be ordered via our online store. Due to the short lead time we do not offer shipping for the tickets, the effort it would take to handle that many tickets would just be too great for us. The tickets ordered directly from us will thus be deposited at the door in your name. There are no additional pre-sale fees or shipping costs. If you want to pay via wire transfer or you’re having problems with the ordering process, please contact us under sales@generation-prog.com! You’ll be able to (pre-)order tickets for all concerts via our website. 10 days until the festival! Due to a lack of time, we won’t be offering shipping for the tickets after this weekend – so if you want to have your ticket sent to you, make sure to order it until November 15! Tickets that are to be deposited at the door will remain available beyond that. And of course we’ll still have more tickets available at the door. Alessandro Bertoni will not perform at the festival after all, but we are proud to be hosting a performance by an exclusive band instead: MacLean / Schetter / Tinge brings together an international team of prog/fusion specialists from England, the Netherlands and Germany. They are preparing an exciting setlist with tracks by Planet X, On the Virg, Toto, Los Lobotomys, Alessandro Bertoni and more. The core trio will be supported by keyboardist Sebastian Halbig and Indian percussionist PV Bhaskar. As we’ve done a few times before, we are once again presenting you with a free download compilation of the festival artists, this time presented by [progrock-dt] – check out the bands you haven’t heard yet and help us spread the word about the festival by sharing the link with your friends! Note: Subsignal, who will play on the second festival day, are not featured on the compilation. The Psion song is a bonus track as the band is not part of this year’s festival line-up. However, guitarist Tom MacLean and vocalist Paul Adrian Villarreal will perform at the festival with other bands. Last week for the hotel packages! An update regarding the hotel packages: Only 13 rooms are left for Friday and 10 for Saturday. The last possible booking date is October 22, so only one week left! Until then they are available via our online store. Order tickets or hotel packages now! © 2019 Generation Prog Festival & Records.